Join us for an afternoon exploring piyutim (Jewish spiritual poetry) in new and interesting ways. We will present fresh takes on traditional songs using instrumental experimentation, original music by Eliana, and electronic elements. This concert is $10-20 Sliding Scale. 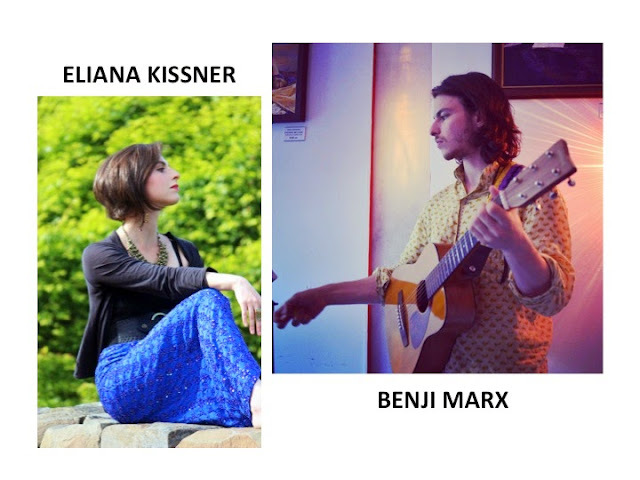 Eliana Kissner grew up on the East Coast where she completed her Music degree at Hunter College. She studied in Jerusalem and was a full-time Arts Fellow/composer at the Drisha Institute. She sings with Safra Middle Eastern ensemble and performs her own music. She has performed with the Amalﬁ Coast Festival, Vocal Productions NYC, Fringe Festival, the Jewish Music Festival, and Piyut North America. Check out hazzanista.com for more info! Benji Marx is an uncompromising singer-songwriter and multi-instrumentalist, following in the footsteps of troubadours like Cat Stevens, Bob Dylan, and Elliot Smith. With a voice that is both intimate and powerful, Benji strives to write about universal experiences, of being human in an impermanent world.